We popped down to Woolacombe Bay’s Golden Coast holiday village for a fun filled active weekend in Devon. Driving to Devon takes us a long time, and so Friday after school and work we set off for Devon. Despite loving camping, it was lucky for us that the Golden Coast has camping pitches and lodges, so the tent was left behind….which is just as well as we would have been pitching it at around 11pm at night! 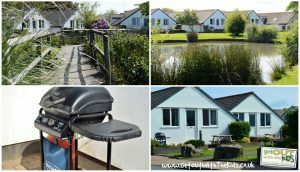 The holiday lodges provide a great place to stay if you don’t want to camp, take a caravan or motor home, or want to stay in something other than a static caravan. We were staying in an Exclusive Lodge, which was finished out to a very high standard. The Welcome Pack was a nice addition too. 3 bedrooms. The master room had ensuite and TV. Duvets, linen, and towels provided. Very large family bathroom with big ‘rain’ shower and underfloor heating. Living room with large TV, freeview, and DVD player. Well fitted kitchen, including Fridge, Cooker, Microwave, Cooker, Toaster, Kettle, Dishwasher, Washer/Dryer.  For many of us that like camping, the Golden Coast (and the other Woolacombe Bay Parks) provide both camping and touring facilities. The Golden Coast has a handful of basic grass pitches (around 10m x 10m), and there’s plenty of pitches with hard standing that are ideal for touring. 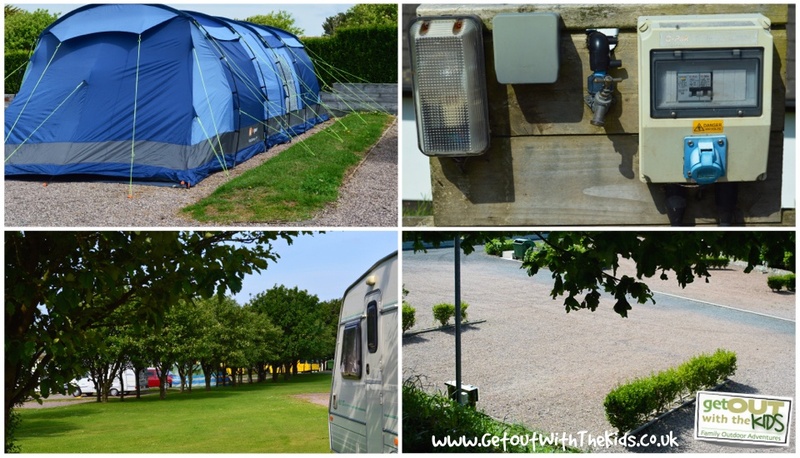 These pitches are quite large, with enough space for an awning, and include electricity and water. 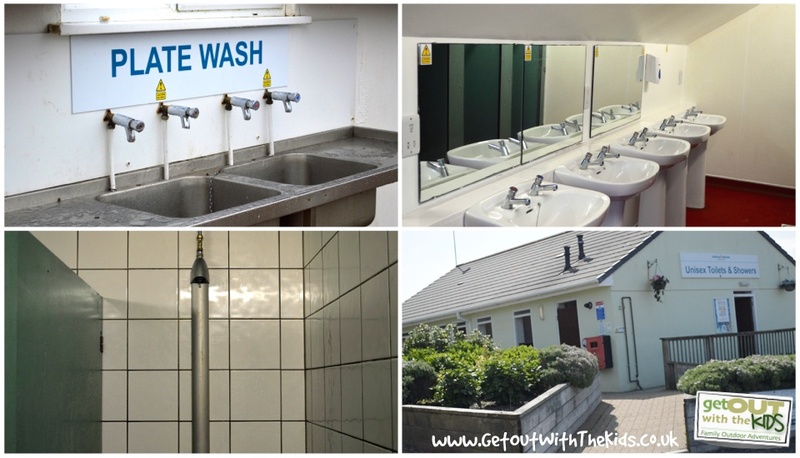 As this is a holiday park, you won’t be lacking in facilities either, with plenty of showers, toilets, and wash-up points. 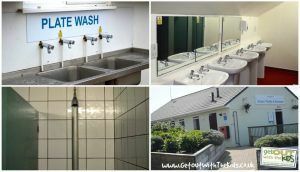 Plus, there’s an on-site laundrette, supermarket, and of course places to eat. 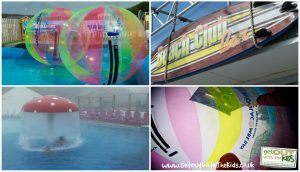 One of the great things we found at the Golden Coast was all the activities kids can do. We didn’t have time to do everything in one weekend, but we did do quite a bit! The activity the kids liked the most was the surfing simulator. Woolacombe is already a place frequented by surfers, but unfortunately you can’t always predict when there’s going to be good surf. 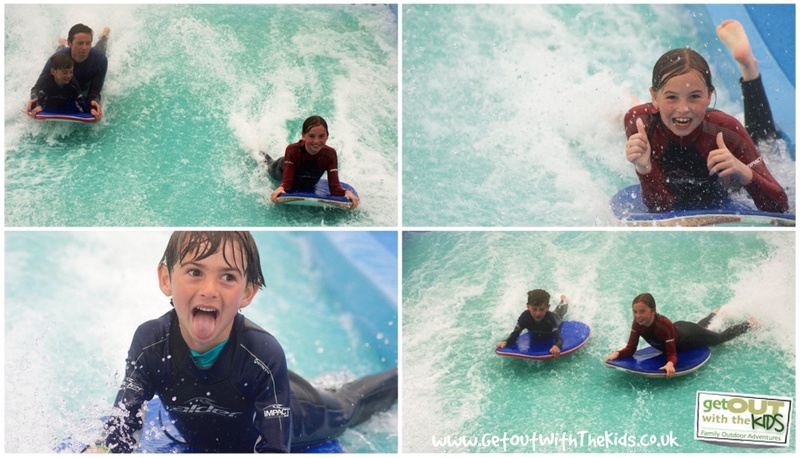 At the Golden Coast holiday village that didn’t matter as the kids could practice their surfing and learn some new tricks, all in a safe managed environment. The surf instructor was very good and all the equipment was provided. The simulator has a roof, so it doesn’t matter if it’s cold and wet outside. However, if the weather does get hot, then the roof retracts back for a bit of surfing in the sunshine. There’s a couple of swimming pools at the Golden Coast: one inside and one outside. The outside pool has waterslides. You can also have a go at the water walkers. 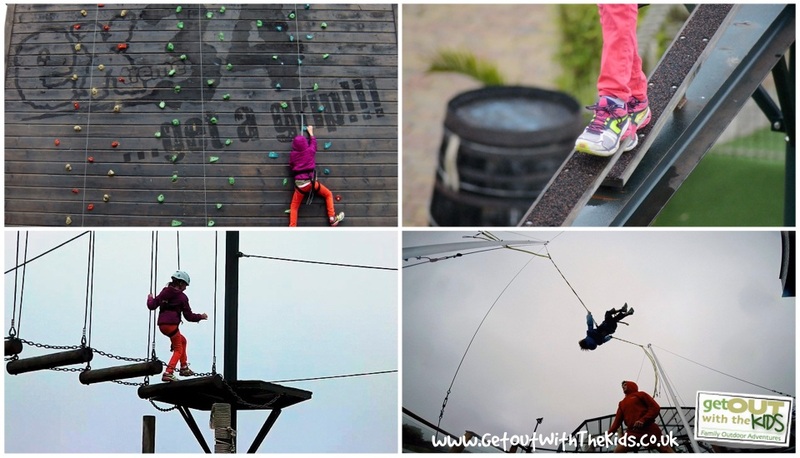 If your kids have a head for heights, then there’s plenty more for them to do too. 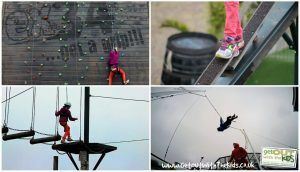 The bungee trampoline was great fun, and your kids could start doing some acrobatics even if they’ve never been on a trampoline before. There’s also a climbing wall, with different levels of difficulty, and a pirate themed high-ropes course. (Weight and height restrictions apply of course). There’s plenty to do indoors too. Have a go at bungee running. There’s also a good sized bowling alley, amusements, a cinema, pool & snooker, and the usual entertainment you find at holiday parks. There’s a few places to eat too. There’s the main bar that serves food and is located by the entertainment, and in the day time, a beach cafe is open by the surf simulator. If you want somewhere quieter, you can visit The Old Mill pub, which has plenty of places to eat inside (upstairs and downstairs), and outside. 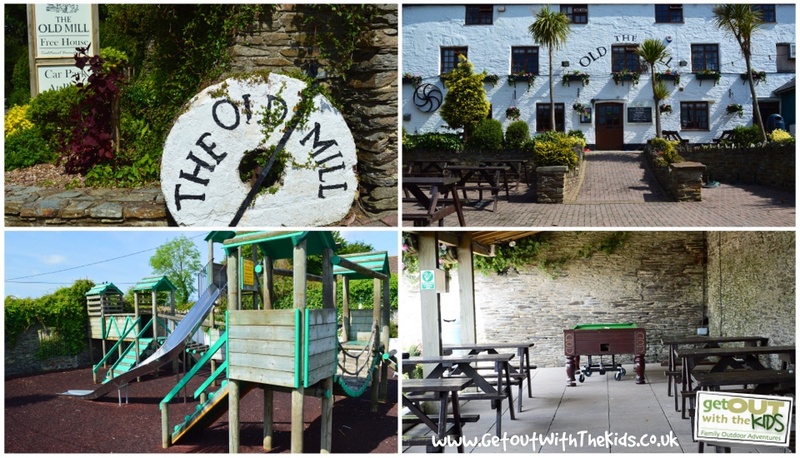 There’s a playground at the Old Mill to keep the kids happy. Woolacombe is just a short drive down the road. It has a massive award winning sandy beach, and a lot of the seaside attractions you expect. If you are staying at the Golden Coast though, you might want to take the Woolacombe Bay bus. 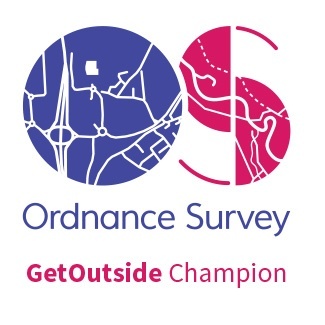 This runs to all the parks (you can use the facilities at any of the Woolacombe Bay parks) and to the beach and back. When we visited the bus was £5 per person, but that gives you a ticket to use all week. 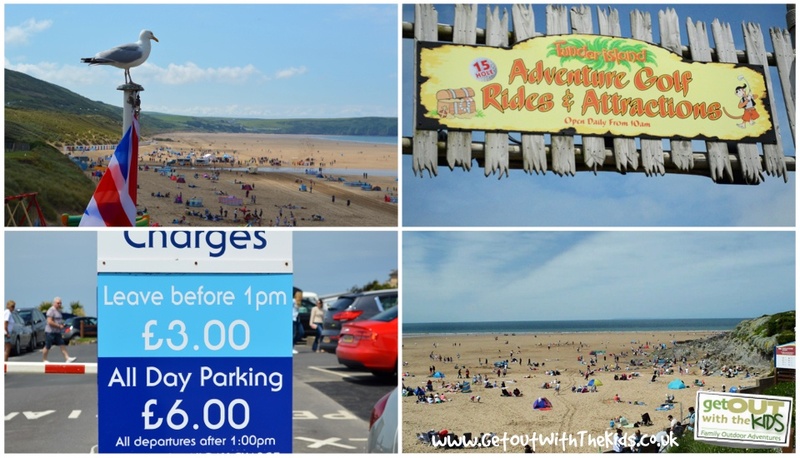 Considering that parking in Woolacombe is £6, you’ll soon cover the cost of the bus if you plan to go to the beach a few times. 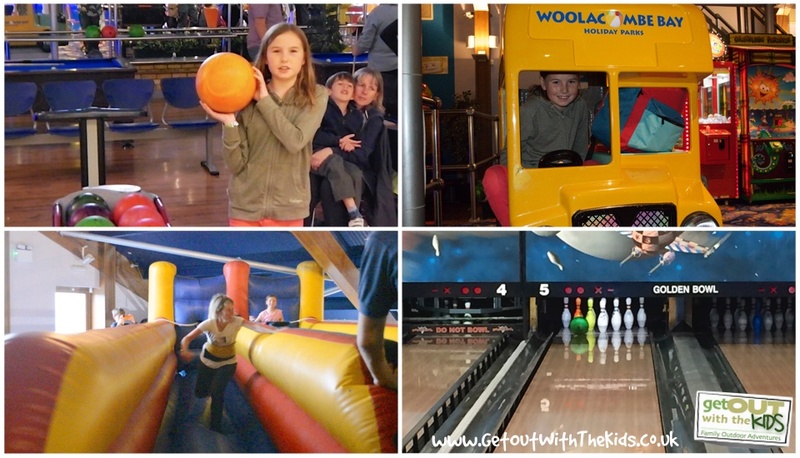 We had a great time at Woolacombe Bay’s Golden Coast holiday village. It gets a thumbs up from us as a great place to take your family. 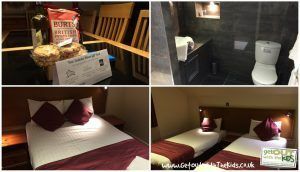 Here's how you can get in contact with Woolacombe Bay Golden Coast. Golden Coast Holiday Park, Station Road, Woolacombe, EX34 7HW. 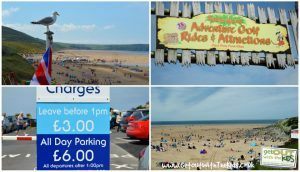 Special thanks go to Woolacombe Bay and the staff who helped us bring this review and let us film the holiday village and their activities. 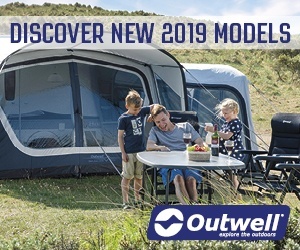 Try Woodlands at Blackalton near Dartmouth.3 or more large campfields.All facillities.Lesuire park free entrance if camping.Resturants.Shops.small pool.Animal farm with exotic animals..Good Familly park.Booking advisable school hols.Between Totnes and Dartmouth.Beaches 5 miles approx. Looks like you had a fun time! Golden coast holiday park is one of our favourite holiday parks in the South West…our boys love the surf simulator!